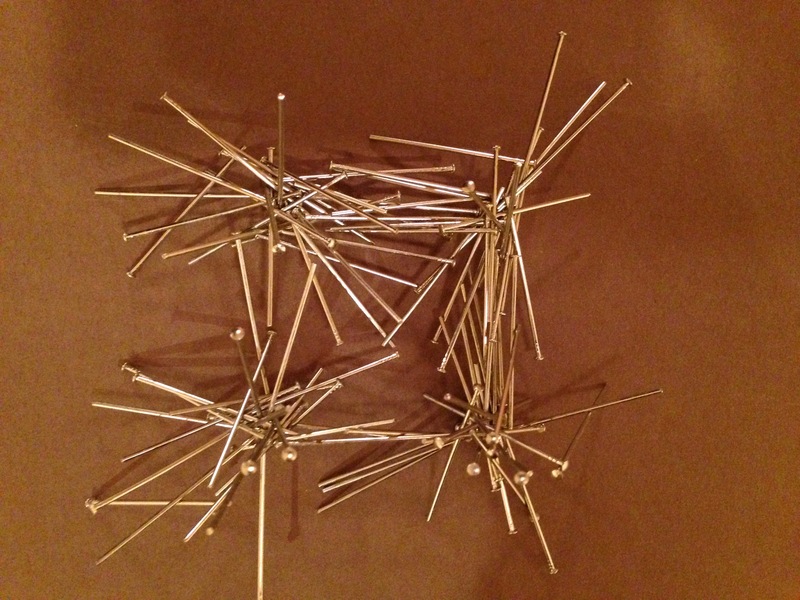 Build a sculpture using a magnet and many small iron pins or shapes. Lay the thick paper/card over the magnets. Pile the pins or shapes onto the card, and arrange. They can see how tall they can build the sculpture/what shapes they can make etc.